No Maida,No Sugar..Healthy and Yummy ? 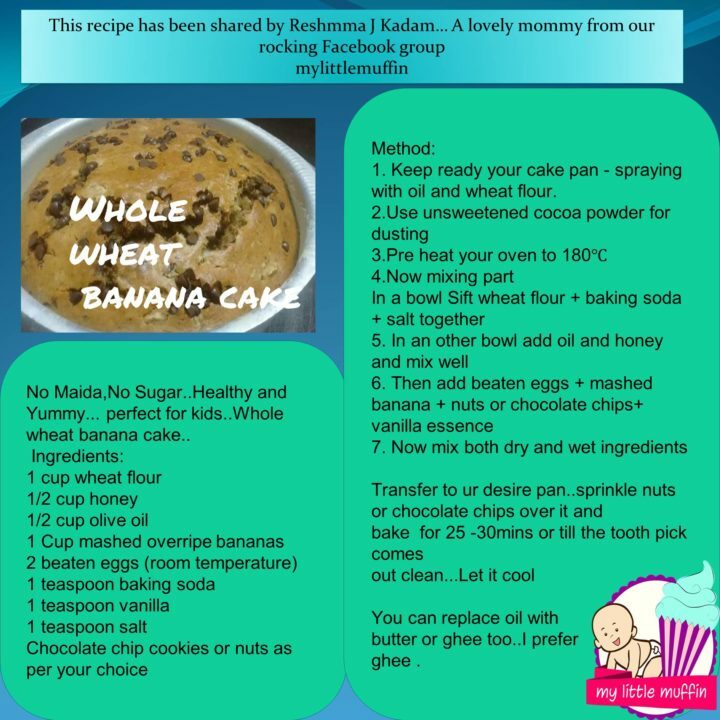 perfect for kids..Whole wheat banana cake..
You can replace oil with butter or ghee too..I prefer ghee . Got married at 22 was last working with futuregroup into retail ..had to quit after my dd birth as we have a nuclear family..My dd is allergic to artificial colours and preservatives so started experimenting with food and started making everything home fresh and preservative free ..shared with friends too it was loved by all and that lead to my venture of APJ Spices. Amazing healthy cake recipe. Thanks for sharing.